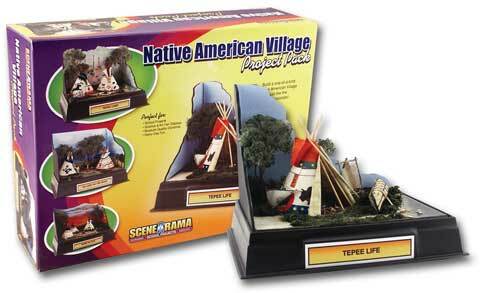 Duplicate your favorite Native American village or use your imagination and model your own with the supplies in this kit. Realistic water, landscape and trails will make your tepee scene come alive with the spirit of the people who lived there. The kit includes a base, backdrop, all the project materials, instructions and a fun educational activity booklet.